April 18, 1828. A wealthy farmer, Jacob Hicks, dies. His friend, Squire Richard Holt, testifies that, on his deathbed, the deceased named his only son as his sole beneficiary. In a naive attempt to invalidate the questionable will, two disgruntled family members fire consecutively at the squire. Only one shot finds its mark, but the lives of the two shooters and those around them are changed forever. 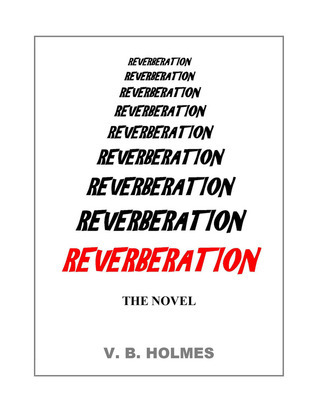 Reverberation is a story of love and friendship, greed and survival set amid the changing social, religious and philosophical mores of antebellum America. If you would like me to read and review your book, interview you and/or promote your work please contact me on: mandy_dj@hotmail.com Please note I am unable to accept ebook review requests at the moment - I am currently only accepting paperbacks - this may change in the future so please check back later. Writing For A Cause! A Commitment To Wounded Warriors. Happy First Birthday to Mandythebookworm’s Blog! TNBBC’s The Next Best Book Blog is Hosting the Larry Closs Blog Tour!! UL Harper’s Interview With Me! I will be Offline for a Short Time but I will be Back!